according to the Forms of the U.P. Church of Scotland. His occupation in his marriage entry was Printer. 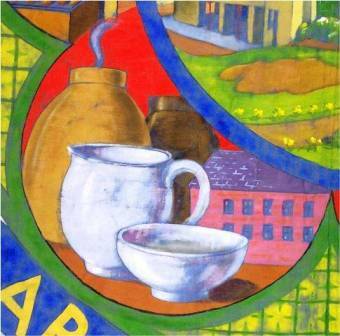 now a Stone & China Ware Merchant. Their next child, Margaret Walker McNay, was born in August 1863. The family now lived in East Vennel, Alloa. By the time Elizabeth Walker McNay was born in July 1869, the family had moved to Greenfield Place, Alloa. By 1871, they were back in Falkirk, living in Bank Street. William McNay was born in June that year. 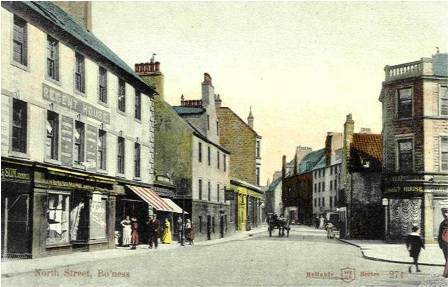 In March 1873, Nora Jane Bell McNay was born in Bathfield Cottage, Vicars Lane, Falkirk. 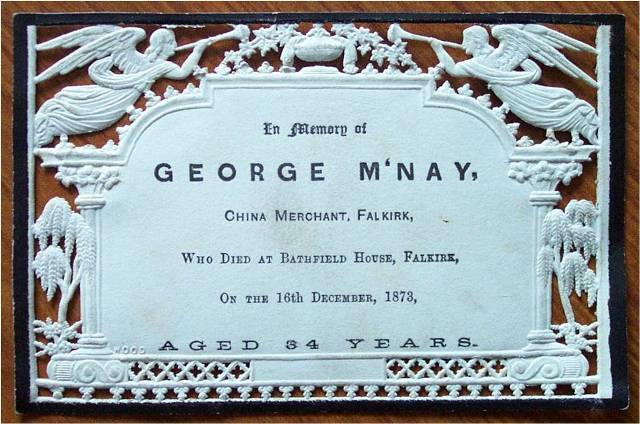 Nine months later on 16th December, George McNay died at Bathfield Cottage following a short illness. He was 34. From 1863 onwards, George’s occupation on his children’s birth certificates and on his own death certificate was China Merchant. Merchants, Falkirk which was worth £422 8s 5d.